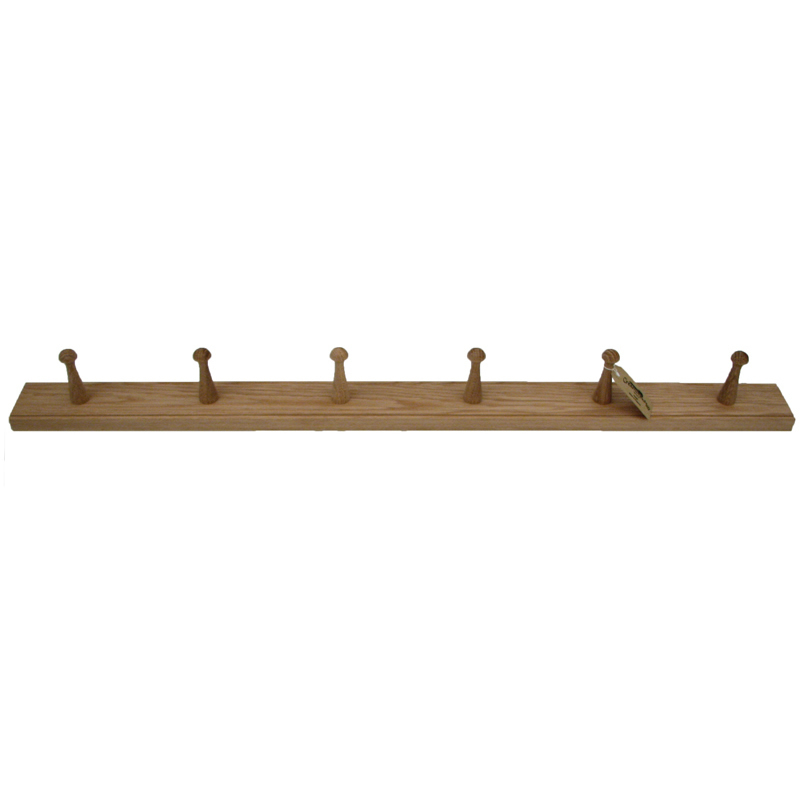 A Shaker inspired oak peg rail, made in the UK from sustainable oak. These are made by Sam & Oliver at Creamore Mill in Shropshire. Their father, John, set up the woodworking shop back in 1981. Originally working out of a tiny outbuilding at the family home, the company moved into Creamore Mill as the business grew. Originally very much a hand made process, it gradually expanded as the business grew; along with the restoration of the mill, they introduced more machinery to help. Yet, their work has still always had a firm hand guiding the work. Today, the machines help the craftspeople to make a singular range of products that show over three decades of skill and experience in their finish. Two pegs, measuring 25.5 cm (10 in). 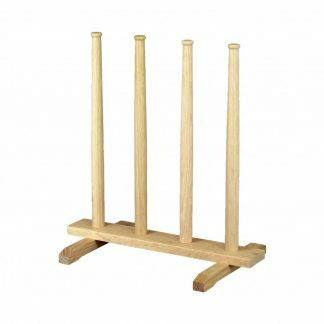 Four pegs, measuring 56.0 cm (22 in). Six pegs, measuring 91.5 cm (36 in). 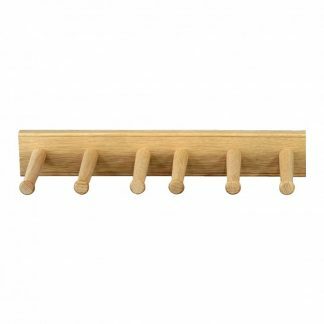 The spacing of the pegs on the six-peg version is such that a number of them can be mounted next to each other and the peg spacing continues evenly across all of them. 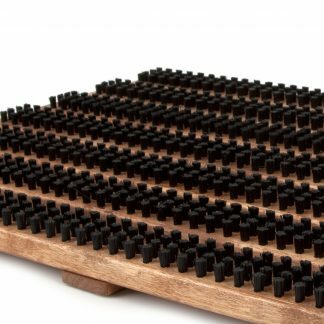 They all measure 7 cm high, with the pegs protruding 9 cm. To mount them on the wall, use fixings suitable for the wall (not included). Draw a horizontal line (assuming you want it level! ); mark the drill positions from the back of the peg rail. Using round-headed screws, screw them into your fixings leaving the screw head about 10 mm clear of the wall (it depends how flat your wall is). 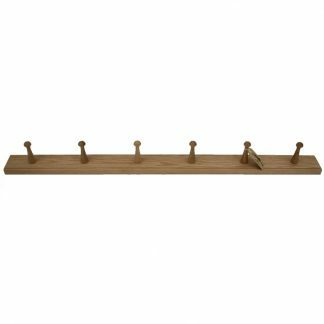 Then you can mount the peg rail on the key holes and if the peg rail is loose, take it off, tighten the screws a quarter turn and try it again. (Alternatively, it it won’t go on, loosen the screws a little.) Repeat until it sits snugly on the wall.